Local knowledge is a wonderful thing when you're travelling, because it steers you towards authentic experiences that never fail to surprise and delight. It also reveals secret spots that don't make it into the brochure racks at the airport. While you could get chatting with the first locals you meet in Cairns or Port Douglas, we've made the task of acquiring local knowledge easier with our top 10 locals' guide. The ideas you'll find here are 100% genuine, sourced from residents of Queensland's Tropical North Queensland. When you're planning a trip to north Queensland, remember that New Zealand operates a non-stop seasonal service from Auckland to Cairns between April and October. A couple of hours south of Cairns by car, the Cardwell Forest Drive leads to an exceptional blue natural pool made famous on social media. One of several sightseeing attractions on the drive, the best time to visit is from May to September. There are no facilities here, just a perfect pool in the wild. 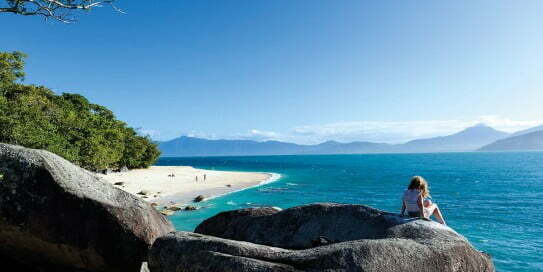 Just off the Cairns coast, Green Island and Fitzroy Island are two of the most popular islands to experience the Great Barrier Reef and easily accessible as a day trip. Grab a snorkel and dive right in with sheltered snorkelling right off the beach. For the ultimate in pristine islands, Lizard Island is a spectacular haven of seclusion and relaxation. Stay at the ultra-luxe Lizard Island Resort with its' 24 private beaches, plus direct access to some of the Great Barrier Reef's most epic snorkelling and diving sites. Inland from Cairns, the Atherton Tablelands is an area where the locals go to picnic, camp, swim and bushwalk. You'll find waterfalls, volcanic lakes, rock wallabies, wetlands, historic villages and maybe even a platypus or two. Plan your day around a tasty lunch at Lake Barrine, Mareeba or Yungaburra. You can also glide meters above the rainforest canopy on the Skyrail Rainforest Cableway up to the Tablelands town of Kuranda. Created in 1935 and listed as a National Trust treasure, Paronella Park is a place to let your imagination run wild. Staged within 13 acres of lush rainforest, it has meandering walkways that lead to bridges and mossy staircases, ponds and secret gardens, rustic structures, waterfalls and the ruins of a Spanish castle. For a Cairns seafood restaurant with a difference, leave dry land and get on board Prawn Star at the marina. Open every day of the week, this re-purposed fishing trawler is an inspired spot for a seafood platter. Prawn Star's reviews are reliably five star. A pristine desert island paradise on the Outer Barrier Reef, Vlassof Cay is made of the purest white sand and framed by a clear turquoise lagoon. A little further out there are areas of coral for snorkelling. You can reach this exquisite sandbar by helicopter. 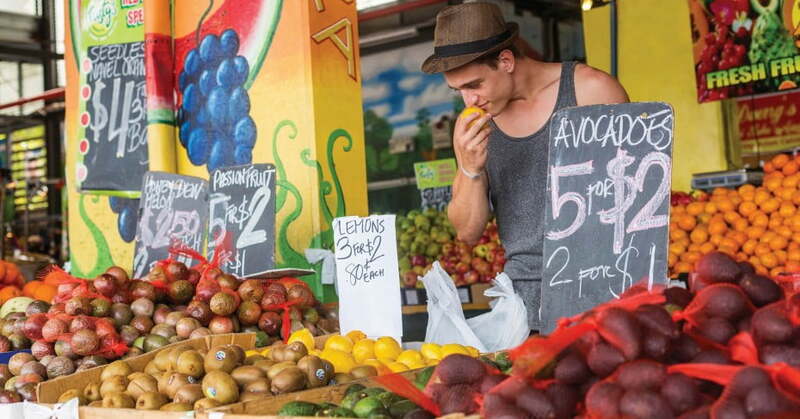 Visiting Rusty's Markets is one of the best things to do in Cairns. Born in the flower power days of 1975, Rusty's is open Friday to Sunday with close to 200 stalls. You can pick up essential provisions for your Cairns holiday - tropical fruit, vegetables, bread, cheese, seafood and chocolate. You'll also find tasty street food, including steaming dim sum, Vietnamese iced coffee and fresh drinking coconuts. Every holiday needs chocolate, and in Tropical North Queensland that means chocolate from Daintree Estates. Produced with locally-grown cocoa and sugar from Mossman sugar mill in Mackay, it's so good that even the Belgians want to take some home. 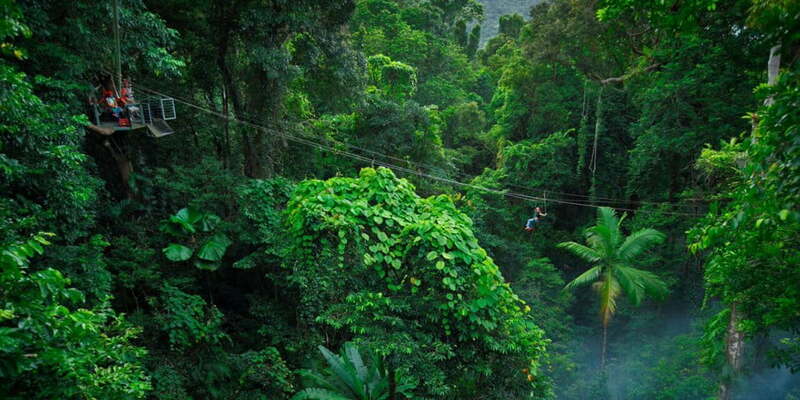 Make like a flying squirrel on a jungle surfing adventure in the ancient World Heritage-listed Daintree Rainforest. You'll zoom between platforms high up in the forest canopy, helped along by the world's first Human Hamster Wheel cable lift. After dark there's an eye-opening night walk experience. Tropical holidays are thirsty work, so relax and renew at Barbados on the Port Douglas waterfront. You can sprawl on a day bed, sip a refreshing cocktail based on hand-made rum and order from a tasty menu of bar bites. The sashimi platter and tuna carpaccio come highly recommended. On the local Port Douglas things to do list, this experience is always near the top.